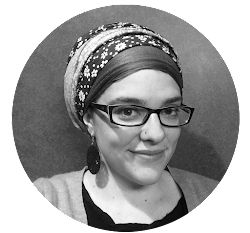 Just Call Me Chaviva: Ask Chaviva Anything: Parenting, Jewish Books, and Jewish Conversion! Ask Chaviva Anything: Parenting, Jewish Books, and Jewish Conversion! It's been a while since I got my Ask Chaviva Anything on, so it's about time. I can't seem to find an easy theme with the questions I have remaining, so we'll call this a grab bag edition. Ready? Let's do this. My husband and I are also thinking of having a baby number two. With the first one I stayed at home for almost three years, now we are thinking that I'd stay home for the first year and my husband for the second. You mentioned that daycare is very expensive in USA, but that you make quite good money while your husband makes less. I'm just curious, would it be possible for your hubby to stay home with the kids and you bring in the dough? Although it's a great idea, we tried this when we first moved to the U.S. because Mr. T couldn't legally work until he received his work permit/green card. The truth is, neither Mr. T nor I are cut out to be full-time stay-at-home parents. Also, we need to be a two-income family (whether here or in Israel) to make things work, and Asher is ultimately a much happier kid the days that he's at daycare. He sleeps better, he's happier, and he's growing into an immensely empathetic and social little kid. In the end, everyone benefits in their own way from our situation. As for No. 2, we'll see how it impacts the current situation and go from there. Stay tuned! Can you recommend a nonfiction book or two with Orthodox characters? And I miss Ask Chaviva Anything, please write soon! Aww, thanks for the kind words! As for a book, you want nonfiction with Orthodox characters? Or fiction with Orthodox characters? I'm a bit confused. There are a ton of nonfiction books about Orthodox topics (a lot of biographies and things like Crossing the Borders of Time), but if you're looking for fiction books with Orthodox characters, anything by Tova Mirvis or Cynthia Ozick, honestly. I've been reading The Boston Girl, but the main character and her family wouldn't really qualify as Orthodox by today's standards, necessarily (some go out for lobster on Shabbat). Have you read The Nightingale? It's also a really great read, based during WWII. Also, check out this list over here that walks through fiction throughout the years. If I missed the mark on your question, just let me know! 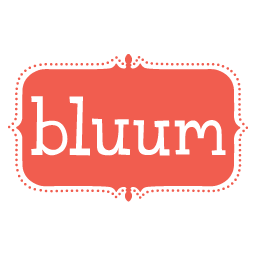 Also, take a look at the archives for "Book Review" here. Did you grow up religious and if not what brought you to your path? Not only would I say I didn't grow up religious, I didn't grow up Jewish. In a nutshell: My parents raised me smartly on the Golden Rule, despite the fact that the first half of my life we were in the Bible Belt of Southern Missouri and the second half in Nebraska. All of my friends were immensely religious (in both locations), so I attended Vacation Bible School, church on occasion (especially in high school), and so on, but we were never a religious family. Easter and Christmas weren't about Jesus, they were about the common, American secular traditions. From there ... check out my posts and essays I wrote about how I got to Judaism and ended up Orthodox. Have a question? 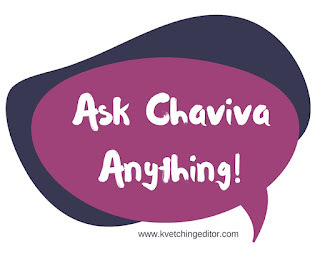 You, too, can Ask Chaviva Anything! Just fill out this form.